Mr. Glazer is the managing partner of Glazer Hammond, PLLC and has been a practicing attorney since 1999. 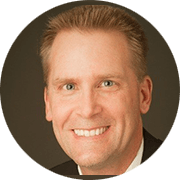 He is a Board Certified Criminal Law Specialist by the State Bar of Arizona and focuses his work on Criminal Defense matters. To speak with Mr. Glazer call (928) 213-5916. 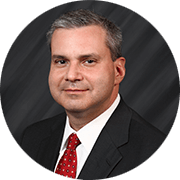 Mr. Hammond is a partner of Glazer Hammond, PLLC and has been a practicing attorney since 1988. He primarily practices in the area of plaintiff's personal injury has collected millions of dollars for his personal injury clients. To speak with Mr. Hammond, call (928) 556-0983. Mrs. Fisk-Glazer has been a licensed attorney since 1999. She primarily focuses her efforts in Estate Planning and Probate matters along with preparing Wills and Trusts for her clients. To speak with Mrs. Fisk-Glazer, call (928) 213-5916. Ms. Ruben has been a practicing attorney since 2003 and is dedicated entirely to Family Law. A seasoned litigator, with a background in social work, Ms. Ruben is passionate about getting important results in a way that maintains your dignity and integrity. To speak with Ms. Ruben, call (928) 213-5916. Mr. Smets graduated early from Northern Arizona University with two Bachelor of Science degrees in American Political Studies and History with a minor in global studies. Jake's most prominent quality is a hard work ethic, a principle he learned from his folks. To speak with Mr. Smets, call (928) 213-5916.